inspo-media.org : review and promotion of books, TV shows, movies, blogs, magazines, podcasts and any entertainment that can be heard or seen that inspires, educates or enlightens or enriches the mind, body or soul. Think Oprah for the rest of us. No, I won't be giving out cars, sadly. I'm hoping you will continue to follow me. Health-Care Bill Unveiled -- Benefits the One-Percent, Ends Medicaid & Medicare As We Know It. I have not been as active as I should have been. After seeing a documentary about Vietnam on the National Geographic Channel on Memorial Day, I suddenly became ashamed that wasn't more of an activist against that stupid. True, I was in Junior High and High School during most of the Vietnam War, but I was more focused on keeping up my A- average and being a good girl to get my parents' approval, than standing up for what was right and just. As it turned out, I could never do enough to get my parents' approval no matter what I did [but that's a matter for the therapist's couch]. As for working on doing what makes me feel good and not seeking the approval of others? [sigh] What can I say? I am forever a work in progress. My message to all the coalminers and working-class people out there who bought Trump's lies about helping the working man -- I certainly hope you're all happy when you suffer from mesothelioma, black-lung disease, and whatever other occupational diseases befall the workers who dig, drill, build, chop, saw, assemble and meld -- and find that your medical insurance [if you even have it] doesn't pay squat. See if Trump gave a damn that you might go broke, lose your home, starve and die a lot earlier than you should have. See if you're still happy about that vote for Trump in November, 2016. Democrats hate the bill and so do a lot of Republicans. That fact doesn't console me, and it shouldn't console you either. Read this Op-Ed column by David Leonhardt in the New York Times today and see if it doesn't make you want to fight, And, as I have said many times before, you are sadly misled if you think Medicare and Medicaid are only programs for the poor. You are also sadly naive if you think you will never need catastrophic coverage -- one bout of cancer or heart disease has wiped out many a family financially. Be scared; be very scared. But don't stop there -- write letters to your senators and representatives in Congress and let them know that if they support this bill, you will not vote for them in the next election! As for myself, I will be looking for ways that I can be more of an activist within the limitations of the health I have been lucky to have thus far. Not only Americans with ALS, but anybody with a neuromuscular disease -- in fact, anyone with a chronic disease -- should do anything possible to block the Trump Budget Plan. It's not enough that the Trump administration wants to repeal the Affordable Care Act [nicknamed "Obamacare"]. But Donald Trump's administration wants to make drastic cuts to Medicare, Medicaid and Social Security Disability. If you're reading this and erroneously think "that will never be a concern of mine", then I'm happy your psychic powers have assured you that you will never get sick. "Okay, but I have enough money put aside for emergencies", well think again. I have personally seen many wealthy people go broke from a family member's chronic illness. But I can't say it better than Rachel Doboga in her HuffPost Article. 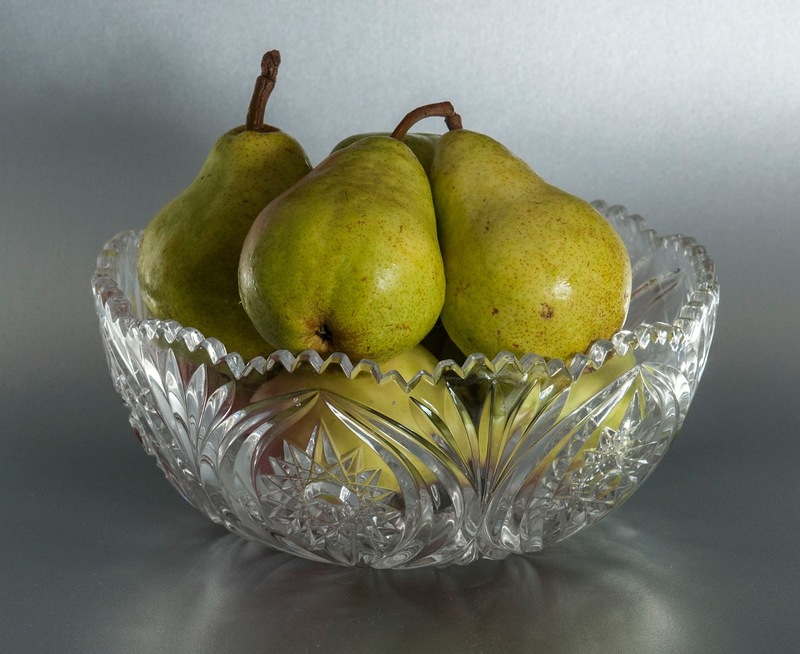 Just remember as you read: although Ms. Doboga is writing from the perspective of an ALS patient, you can apply this to Cancer, MS, Parkinsons Disease or Dementia; even Diabetes and Arthritis in a lot of cases. Even the best medical insurance can fall short when you or a loved one has to stop working and maintain himself through a chronic disease. 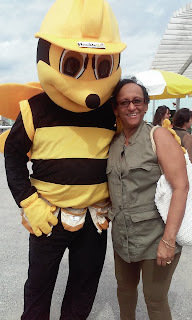 Lynette and a giant bee at the 2015 NewYork City Honey Festival on the Boardwalk at Rockaway Beach. 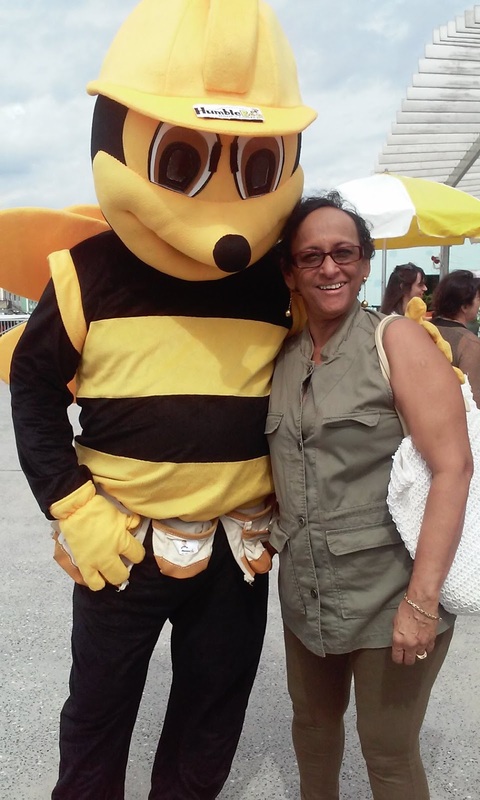 We had the opportunity to meet local beekeepers and taste dozens of varieties of honey. HONEY!! Just the word conjures up images of Winnie the Pooh, tea with honey, Middle-Eastern pastries like baklava soaked in it, and teaspoons of it soothing a sore throat. I used to have it in my tea every day -- I have -- at minimum -- a cup of anti-oxidant green tea and at least a cup of black tea later in the day. For a long time growing up, I associated tea and honey with an upset stomach. But then I became a sort of tea connoisseur. I remember a throat lozenge called "Honees" that I loved, because in the middle it oozed out real honey; I bought them even when my throat wasn't sore. Mmm those things got me through my first winter as an airline reservationist. But I digress. I am a serious allergy sufferer. I mean all day, every day. I pop a Zyrtec every morning and use nose sprays, and on some occasions I even have to add a benadryl if my eyes puff up or my skin breaks out in hives. A walk in the woods means extra medication. The beach is the best place for me, according to my old allergist, a venue-restriction that suits me perfectly. Anyone who knows me, knows that I live for the beach. So, I am learning that local honey can help alleviate allergies because it is derived from the honey made from the flowers near where you live. Watch this video from ABC-TV NYC Eyewitness News. It's important that the honey be local. The video talks about Andrew's Honey, which is based in NYC. So if you live in Manhattan, Queens, Brooklyn or the Bronx, click on the above link and find the honey produced in a rooftop hive in your neighborhood. If you don't live in NYC, go to a local farmers' market or general store that sells local honey for your area. I haven't tried it yet, but I am planning to order the "Forest Hills Honey" which is closest to my home. I will try anything. Fox Broadcasting Company - US logo for The X-Files. MoviePosterDb.com (December 6, 2009). Retrieved on September 18, 2012. Talk about things that make you go "Grrr". A character on a popular TV show with a cult following like the global favorite "X-Files" perpetuating the stereotype that People with Disabilities [PWDs] can be excused for a substandard work ethic, is deplorable. What's even worse: there are still employers who won't hire a PWD because they think a PWD can't do a job as well as an able-bodied hire or won't be reliable and dependable. We won't even get into the statistics and studies that show that PWDs tend to be more productive and reliable than their able-bodied counterparts. And, there are still HR people out there who are afraid to hire PWDs because there is a bigger likelihood they will be sued, or because making certain accommodations will be too costly. Although I am not in the job market like much-younger PWDs, I have suffered enough attitudinal barriers to allow me to appreciate how difficult those barriers must be when they are barriers to earning a living and enjoying independence rather than depending on public assistance! Check out this article about "Attitudinal Barriers" we PWDs face and how they can affect every area of our lives, but especially the right to earn a living on the website of the National Collaborative on Workforce and Disability. If you are a PWD, you will nod at prejudices you recognize; if you are able-bodied, you might see attitudes listed that you never realized existed in yourself -- if you are prepared to admit it. And, ask yourself, if you were to substitute the words "African-American", "Hispanic", "Gay" or "Woman" in place of PWD, would these attitudes be okay? Inclusion: Do You Avoid Inviting a Friend With a Disability to a Holiday Celebration at Your Home? Holidays can be lonely times, especially for People With Disabilities. I know that holidays are very depressing for me because most of the time I am forced to sit at home with a caregiver. Read my post about "Visitability" [March 30, 2017] to learn about challenges many of us have to face when other people don't have accessible homes. But sometimes the barriers are more subtle. Many times, the host or hostess just feels uncomfortable about some disabilities. But the excuse I hear most often is "I don't want [the PWD] to feel bad if other guests make [the PWD] feel uncomfortable" or they are afraid someone else will say something hurtful. It's unbelievable in this day and age, but I still have neighbors who can't look me in the eye, ask my caregiver about me while I am right there or just avoid me. there is still so much fear around disability. Indeed, I have attended many gatherings where I could feel the discomfort of other guests toward me. But, if just one guest leaves the get-together with a more enlightened attitude toward PWDs and realizes there is a HUMAN BEING sitting in the wheelchair, I have accomplished something. As a PWD, I just have to decide whether I want to go, and risk a little discomfort, or sit at home isolated. I have learned two things over the dozen+ years as a PWD: first, this excuse of fearing hurt to the PWD is usually no more than just that -- an excuse -- and reflects the discomfort of the host/ess. the second thing I have learned is that the experience is often not as uncomfortable as I imagined. I have learned that my speech problems and using a device with a text-to-speech app, present a new challenge for almost anyone. including me in the conversation is a skill that has to be learned; as time goes on and PWDs survive longer and move about with more independence and inclusion, there will be more awareness from the able-bodied about how to relate to us. Jennifer Laszlo Mizrahi is the President of RespectAbilityUSA, a non-profit organization working to empower PWDs to achieve the American dream. she has written an article entitled "10 Tips For Including People With Disabilities in Purim and Passover". But don't let the title dissuade you if you are not Jewish. You can apply these tips to any holiday, religious or not -- Christmas, Easter, Thanksgiving, New Year's Eve or Independence Day [or just an informal barbecue]. There are ways to prepare guests and head off any awkwardness. And including a person with a disability in a get-together might just enlighten and dispel myths about PWDs, while bringing a PWD out of isolation. I can attest to the fact that after becoming disabled, I suffer from isolation and loneliness during most holidays, because I am excluded from most get-togethers these days. Christmas 2016 and Easter 2017 were much brighter this year for the first time in a dozen years, due to a friend's inclusion of my presence at her celebrations. I was so grateful. After reading Ms. Laszlo-Mizrahi's article, able-bodied readers should make an effort to include a person with a disability at their next holiday [or any] gathering. If you haven't caught the NBC show "This Is Us" yet, you should. Last time I looked, Spectrum [my cable company ] had the entire first season on their On Demand list. The second season hasn't started yet, so there is still ample time to catch up. If you are familiar with the show, you can skip this paragraph. If not, allow me to give a quick orientation. The show is about a couple who has triplets. Well, not really in a technical sense; you see, one dies at birth, and they now have a set of twins, or ⅔ of a set of triplets. But on the day of their birth, into the hospital comes a fireman with a baby who was abandoned at his firehouse. The abandoned baby is African-American, while the couple and their two fraternal "twins" -- one female and one male-- are white. The couple decides to take home the African-American baby to complete their intended trio. Besides, the wife has knitted three "onesies" which sport the words "big three" for the babies to wear home from the hospital. And one could say it was fate that a fireman has dropped off an abandoned baby just when they lost one. You could say it was meant to be. Fast forward to the present. Roland [the formerly abandoned triplet, now all grown up], has recently located his biological dad William. William is dying of cancer, so Roland and his wife take him in to their home. After a few weeks, William dies and Roland and his family give William a proper sendoff. Fortunately, Roland and William have bonded and thus made William's final days fulfilling and rewarding. So the following day, Roland marches into his office and resigns. But before he does, he gives them an earful. First of all, he walks in on a very important meeting at which his boss and the aforementioned underling are present, but to which Roland has not been invited. So Roland tells them that he has loyally given his life to this firm and all they could do to offer condolences upon his father's death, was to send a box of pears, a fruit they KNEW he is allergic to. When his boss asks Roland where he is going now, Roland says something to the effect of "I don't know. Maybe I'll take a little time off. Maybe I'll take a nice slow and long walk in the morning. Maybe I will stop and talk to the mailman". Needless to say, the men in the meeting all have perplexed looks on their faces. But we the viewers know exactly what he means. He has been so wrapped up in his job and giving it his free time, that he doesn't even know the man who has been delivering mail to his home every day for the last umpteen years. And they didn't even take the time to acknowledge a life-changing event in his life. How many of us have done the same thing? How many of us have been so wrapped up in our lives and the hectic-ness, we don't even notice what is around us? I knew a lady whom I worked with, who had ovarian cancer. She said to me before she died "We don't take time to smell the flowers". I would like to take the time -- now that spring is finally here -- to smell the flowers, hear the birds sing, and watch the people in my neighborhood and even in my building whose names I don't know. I wish I could speak without people running away and putting a frightened look on their faces. Once I tried to ask my FEDEX man if he had a package for me. He turned to me and yelled "What the hell is your problem?" I wish people were not so afraid of what they don't understand. And I wish I could still have a conversation and meet the neighbors who have moved into my building in the last 13 years.